Here’s a clip of New Jersey resident, American icon, and universally acknowledged rock ‘n roll Boss, Bruce Springsteen. It’s the video for his recent single “We Take Care Of Our Own” as taken from this year’s Wrecking Ball album, his seventeenth release. It’s difficult to talk about Springsteen without mentioning his unique role in the history of rock music, post-1960s. He emerged during a time of great social and economic upheaval in the United States; the energy crisis due to political turmoil in the Middle-East, the Watergate scandal, and America’s defeated withdrawal from Vietnam happened concurrently with the releases of his first three albums, including his breakthrough 1975 album Born To Run, give or take a few months on either side. This was a time when the illusions of a nation were being shattered one by one after a post-war economic honeymoon. It is upon this spirit of disillusion that Springsteen found his voice as an artist, and proved to be the voice that represented so many others at the time. In part, this is the reason he appeared on the cover of Time magazine in 1975; he was a voice for his times. So now in 2012, where has Springsteen’s voice taken him on “We Take Care Of Our Own”, Wrecking Ball, and for us as his audience along with him? In many ways, the 21st Century so far mirrors those dark years of the early-to-mid 1970s when Springsteen arrived on the scene. In this new century, many of us are old enough to remember something of a socio-economic honeymoon period between the fall of the Berlin Wall and the 9/11 tragedy. We’ve seen our own share of miserable, hopeless, expensive, and ultimately heartbreaking wars after that period. We’re facing an energy crisis of our own as we reach the end of the peak oil period. We’ve seen all manner of political and economic corruption from those who hold the reins of power, seemingly unbound as they are by a sense of justice or accountability. It has been established that art itself will not save us. Yet, the voices of artists calling us out as a culture is certainly an ingredient to salvation when we hear them, inspiring us perhaps to save ourselves. There are too few of those kinds of artists left. In this, we need Springsteen more than ever; a voice of authority in his field who continues to model how artists should operate, especially in times such as ours. In this song, Springsteen exercises one of his greatest strengths as an artist on which not many other songwriters can match him. He’s able to present anthemic material about his country, while also refusing to let it off the hook for its shortcomings, and its often illogical and unjust assumptions about what it is like to live there. In the past, his work has been greatly misunderstood by those less discerning, or who flat out aren’t listening. Ronald Reagan’s use of Springsteen’s 1984 song “Born In The U.S.A” in his re-election campaign that year, while at the same time championing “trickle down” economics, bears this out. There is, as most of us know, a major difference between the way a song sounds and what is actually being said in it. That difference is not unlike the relationship between the American Dream, and everyday American reality. But like the spirit of the American Dream, Springsteen’s work has been about framing what life in America could be, not necessarily the way it is. He continues his calling as that sort of artist here. On this song, he’s singing about where the journey can take a nation of people who are basically good, and well-intentioned. It’s not about an arrival or “greatest country in the world” jingoism. It’s ultimately about the hope of what America could be, because that potential for good is there to be found in everyday communities all over the country. In an era that can be considered to be one marked by difficult cultural transitions, social tensions, economic upheavals, and widespread uncertainty about what the future will look like, this song and the album off of which it comes is about re-imagining how a powerful nation chooses to use its power. And it’s about ways of looking at how that power can transform the world for the better as much as it can for the worse. In such times, this vision for a nation is more than just a timely statement from an artist who appears to be among the last of his kind. It is, in fact, essential. 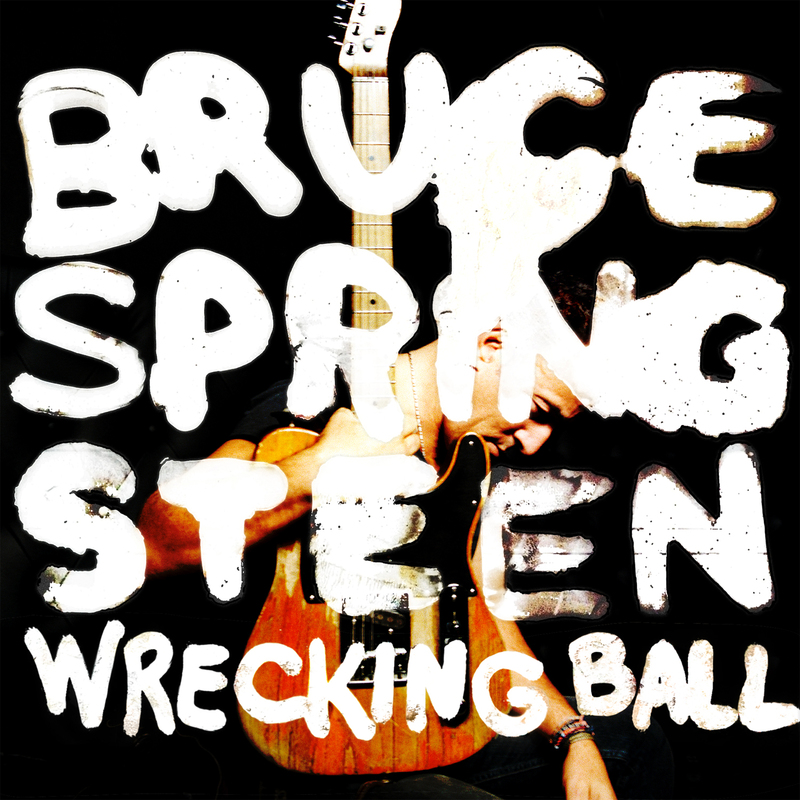 Canadian readers: would you like to win a copy of Bruce Springsteen’s new album Wrecking Ball? I have one vinyl copy, and two CD versions of the album to give away. Enter your favourite Springsteen song, and why it’s your favourite, in the comments section. I will choose three entries in a random draw to win each copy. Make your comment now! I’ll make the draw and contact the winners on June 4, 2012. Thanks to Columbia Records Canada for the digital copy of Wrecking Ball for the purposes of creating this article. WHERE DO WE START – THE GREATEST ARTIST TO EVER LIVE. OLD SCHOOL AS WELL, PLAYS 3 HOURS SHOWS NO PROBLEM AT ALL – NONE OF THIS 1 1/2 HOUR STUFF. BEST ALBUM – THE RISING. SONGS; TOUGHER THEN THE REST, THE RISING, GLORY DAYS, ATLANTIC CITY. My favourite Bruce Springsteen tune is Thunder Road. The first time I heard this song I was with my roommate on the porch of a very busy street in Little Italy in Toronto on a warm summer night. He picked up his guitar and gave an impromptu porch concert — kicking it off with this song, much to the delight of me, and all the passersby. I’ll never forget that moment in time — or Jake’s (as in Big Rude Jake — and still a force to be reckoned with) version of Thunder Road — it was full of charisma, just like the song. Thanks for all the comments, folks! Margie wins the vinyl copy of the new record, and Jim and John win the CD copies. Thanks again!